Describe what treasures we can find at Made590? I call it the one stop shop. You can visit made590 and find something for everyone! 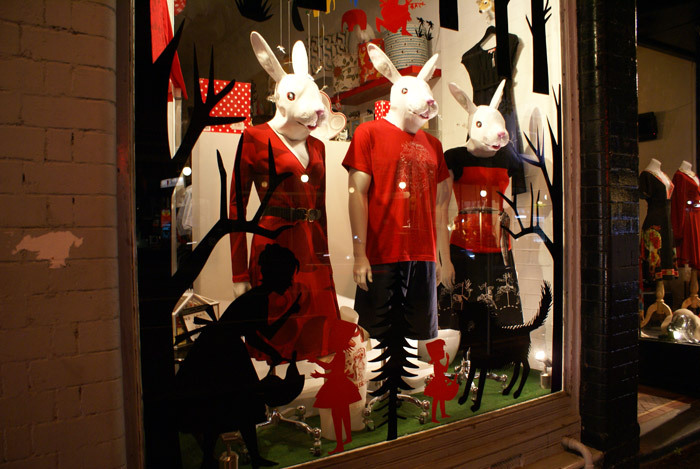 Everything from local designer fashion to accessories to very cool gift wares. What was the inspiration behind opening your shop? It was never really my plan to open made590, more of a dream….. One day I was driving through Newtown and drove past my favorite corner and noticed that it was for lease, I rang the real estate and did the sums and thought I might as well give it a go. I had been doing Paddington and Bondi markets for about 5 years and was very, very over it. Saying that though, I met amazingly talented people who I then asked to stock in my store. The original plan was to showcase local designers as well as my own designs. Over time we still represent a lot of the same brands we opened with as well as venturing into the overseas market with our home wares and gift wares. We still like to keep fashion and accessories as local and as small time as possible. The inspiration now is to show original products that are not mass produced and look good, of course they also have to be great to wear and/or look cool in your home! What independent aussie designers do you stock? Well the list is pretty long, to name a few we have Made by White, Surface Art, Brooke Johnston jewellery, Polli, Rhynie, Culdesac, POL, Milk from a thistle, Boo ware, LOVE, Invisible bus, The raisin did it, Rodeo show, Monique germon, Strutt sisters, Pirdy, Lola and Bailey, Blindwear, made590 and lots more. What do you produce under the Made590 brand? What do you look for when you are sourcing new designers? I look for originality, quality, price, reliability and probably equally as important is the potential relationship we have with new designers. I like to know the designer and get along with them and understand what their brand is about. I much prefer dealing with designers than agents as I want to support people who started out like me rather than brands that can afford agents – nobody sells your brand like you. It is really important when selling an item that I know everything possible about a product, if I don’t believe in it or I don’t like it I can’t sell it! Keeping up with the amount of designers that approach us is hard, sometimes we run out of time to look at everything and get back to everyone who approaches us. The best way to contact made590 is via email through the website. 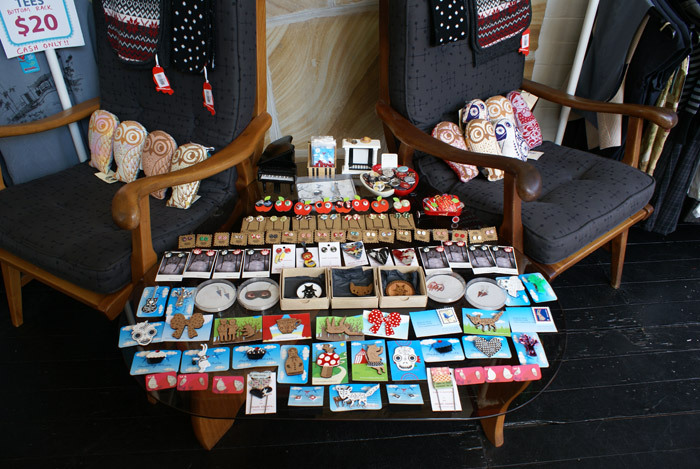 What has been some popular items at Made590? All the Japanese collectables sell out far too quickly, often too fast for me to even get any!….. 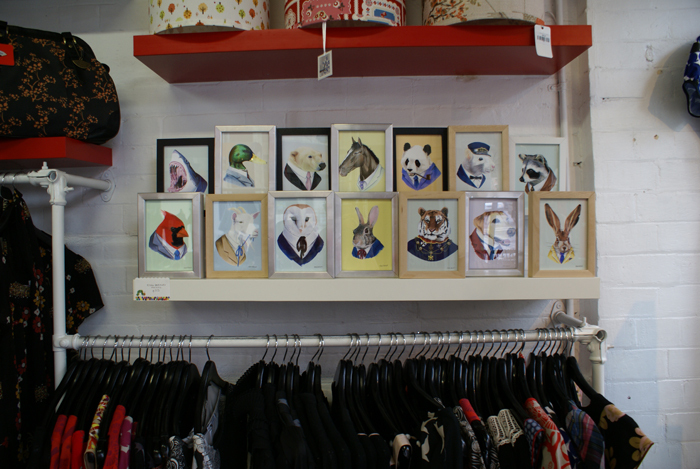 Most recently though the fantastic animal portraits by US contemporary artist Ryan Berkley, and our new made590 red riding hooded jackets – the first run sold out in 3 days! 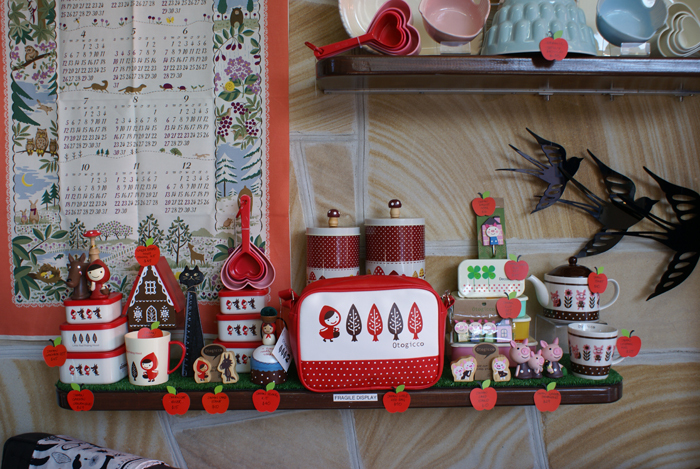 The most popular item for me is probably the Japanese Decole range, it is a quirky gift wares range from Japan and every single item I want. 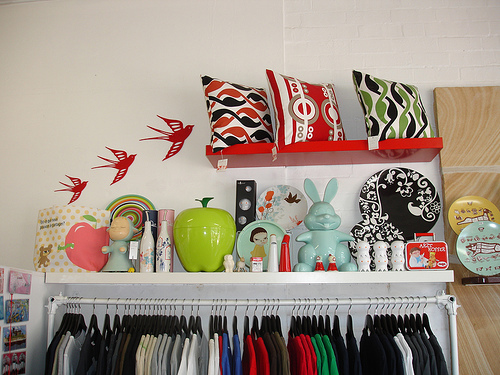 Local brand Made by White is also a store and staff favourite, especially with the launch of their new wall stickers, finding blank wall space has been hard! What new things can we expect to see in the future at Made590? We are designing summer and going crazy buying new products for Christmas, it’s lots of fun! Lot’s of amazing Japanese fabric arrives with us in June so there will be many products incorporating our fabric finds. ‘Isak’ a melamine conveniently plate and tray company from the UK will be delivered next month. Every week we have new things arrive in store, it’s hard to keep up with everything but there is always something new to see and buy!!……. Oh and the newest ‘thing’ is arriving in November, a little baby to be a brother or sister to Morrison. 590 King street, Newtown, NSW 2042. Would you supply your clothing line wholesale. I have a shop in palm beach and will be at the Melbourne fair on Saturday.